It’s typical in this economy for homes to remain on the market for 6 to 8 months or more. There are a lot less qualified buyers due to anxiety about the real estate market and a widespread increase in unemployment. The good buyers are out there looking for a bargain and hoping to get maximum value for their money. Since there’s an large surplus of homes on the market, the ball is in the buyer’s court. However, if you feel that attention to your listing has been unusually stagnant in the market, there might be a few things you can do to get just enough edge to sell your home. 1. Above Market Value – We all want top dollar for our properties, but the reality is that the economy is working against us at this time. Re-evaluate your price point. Has your agent re-run a comparable market analysis for your home? Keep in mind, if you have been on the market for over four months, housing values might have changed. Price your home smart, just right to entice interest and initiate multiple offers. Remember, your goal is to sell your property. 2. Curb Appeal- How many times have you browsed around the mall window shopping? Once something catches your eye, you walk right in to get a closer look (and buy it). The same concept applies here for your home. Manicure the lawn, fluff up the flowerbeds, touch-up the paint, and give the exterior a good power-wash (especially the garage doors!). Make sure your home is attractive to all the “window shoppers” out there. Give them a reason to come in and buy! 3. Interior Appearance – As important as curb appeal is, interior appearance is just as vital. Get a few storage boxes and de-clutter your interior spaces. Most of the time you won’t need to hire a professional stager. Simply re-arrange your existing furniture to highlight each room. Remove all unnecessary chotskies from your living room, kitchen and bedrooms. Keep each room simple and nicely decorated. Less is more in interior presentation. Moreover, make sure your home is kept completely clean. It’s a drag to clean your home every other day, but buyers can come anytime of the week. The last thing you want is for a buyer to walk in and see dirty dishes in the sink, wet towels in the bathroom, and laundry scattered around the bedroom. This is a sure way to turn off prospects. 4. Unfinished Do-It-Yourself Projects – Now husbands listen up! It’s all about attention to details. The unfinished D.I.Y. projects must be finished before showing your home. For every eye-soar a buyer deducts value, even if it’s only perceived value. Set aside one weekend to make sure all the loose ends are taken cared of. 5. Poor Presentation – It is important to make sure that your agent takes good, bright, and clear photos of your property. Great photos attract more eyeballs. 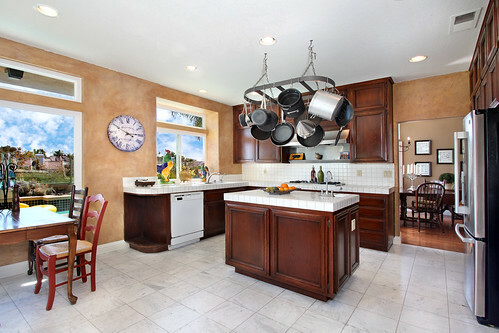 Make sure to photograph key features and upgrades along with the standard property photos. Turn on every light that you can and open the windows to let in as much light as possible. Preferably, take photos with a good high-end digital camera with 6 megapixel or higher to get the best quality shot. 6. Weak Online Advertising – If your home isn’t online somewhere, you should really reconsider who is representing you. The majority of successful home buyers (75%) preview their properties on the internet. Creative real estate agents leverage social networks, forums, and advertising outlets online including craigslist and Google Ads. 7. Failure to Advertise Offline – Online advertising is only part of the complete marketing mix. Offline marketing is still one of the most effective advertising modes available. The most basic of all offline advertising is a well constructed property flyer. A Real Estate Flyer highlights the key features of your property giving the potential home-buyer an overview of your home. Having an abundance of well constructed real estate flyers using high quality photos will improve your home sale success. Additionally, make sure you have plenty of copies of the flyer throughout your home and in the lawn flyer box. We advise a minimum of 100 flyer to be printed per home. If you go though 100 flyers in a week, you know there is interest in your home and an offer may come sooner than you think!